I had never heard of Erich Kastner before my recent trip to Dresden, Germany. I passed by the museum dedicated to him and his work several times. My German sister, Elisabeth, told me that I needed to read some of his books. I was lucky to find two on Hoopla. Luckily we have such an amazing database available for our patrons where they can find obscure books, music and movies. While I was searching I even stumbled across the fact that patrons can check out items in foreign languages as well. As I continue to work on my German I will keep this in mind to help with my study. Lisa and Lottie is a story that is very well known but under a different name, The Parent Trap. Who knew?! Not me for sure. First line: Do you happen to know Bohrlaken? 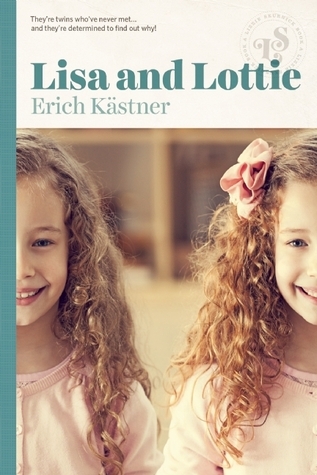 Summary: When Lisa from Vienna meets Lottie from Munich at summer camp, they realize that they are identical twins who have been separated at a very young age. During the weeks at camp they devise a plan to switch places without telling their parents. Highlights: This was a fun little story that I know very well. I have watched both versions of The Parent Trap (Hayley Mills and Lindsay Lohan) and loved them. Kastner’s story is a little less detailed than the movie versions but still a fun novel for young kids. The illustrations were very simple and worked well within the story especially when we see the twins together. I am glad that I picked this up and I plan to read a few more of Kastner’s books as well. FYI: This is only available in digital format on Hoopla or you can interlibrary loan it as well. First line: The Nazi officers are dressed in black. Summary: Based on the true life events of Dita Kraus we see the courage and strength of the prisoners of Auschwitz. The story follows Dita, a fourteen-year-old girl, and her parents as they are transported to the death camp. Upon arriving, they are assigned to the family camp. Dita is made to work in the “school” where she meets Freddy Hirsch, the Jewish leader in charge of the children of Auschwitz. 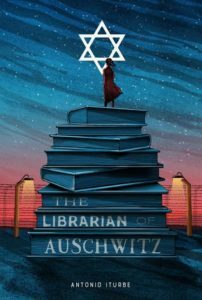 Hirsch gives Dita that responsibility of hiding and taking care of the contraband books, becoming the librarian of Auschwitz. Highlights: I know I shouldn’t judge a book by its cover but I do. And this one is beautiful. I absolutely love it. The story is so rich and detailed but heartbreaking at the same time. 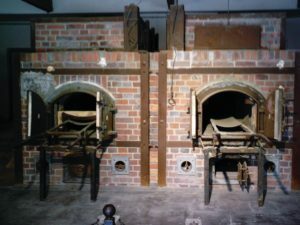 I have read many accounts of the Holocaust. The strength of the people who lived and endured these hardships is hard to read but they need to be. No one should be allowed to forget these stories and atrocities have happened. I cannot imagine having the courage that Dita has. She was fourteen and risked her life for the love of books and reading. She kept her humanity in the worst possible situation. I loved how the author intermixed the stories that she read into the narrative. We, as the reader, get to experience what kept her going during the dark days. Lowlights: Several other narratives of fellow prisoners at Auschwitz are woven into Dita’s story. I was confused at times when the story changed narrators. FYI: Great as an audiobook! First line: It is the look on the woman’s face that seems familiar. 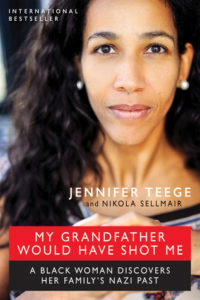 Summary: Jennifer Teege was shocked when she learned about her family history while browsing her local library. When she picked up a book and scanned the pictures inside, she was shocked to see her biological mother. 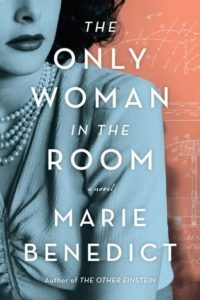 As she continued to read, the book followed her mother’s struggle to love her father, Amon Goeth, who was the commandant of the concentration camp depicted in the movie Schindler’s List. Jennifer was adopted at a young age but she had had contact with her biological mother and grandmother as a child. She was never told her family’s past and now she has to come to terms with what they did and did not know. Highlights: Fascinating story! I have visited Dachau in Germany and felt the heaviness that still surrounds the place. I read this in two days because I had to know more about her and what she learned. The story is interspersed with information and interviews done by one of the coauthors. The pictures were a great addition so I could see what the people looked like. Lowlights: Some places were a little repetitive. She kept reiterating several key points. I think that it was a strategy to remind the reader but since I read it very quickly they were redundant. FYI: Originally written in German. Looking at the rows that once were the barracks. This book was something I came across when checking in returns and was immediately struck by the title. I saw the movie Schindler’s List many years ago but I remembered the basics of the story. 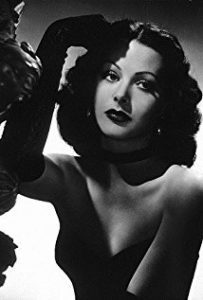 I was extremely interested in anything to do with World War II and the Holocaust. I have read The Diary of Anne Frank, Numbering the Stars by Lois Lowry, The Summer of My German Soldier by Bette Greene and so many more. 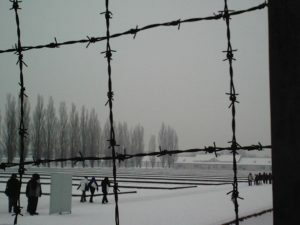 I have been able to visit Germany four times and see historical sites but nothing can prepare you for visiting one of the concentration camps. 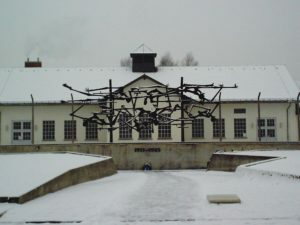 My first visit to Dachau, the first concentration camp in Germany, was when I was about 10 years old. It was a scary and disturbing time. I remember asking to go sit outside because I was getting physically sick. I was able to visit a second time when I was in college and could understand the significance of the place and its history. I re-watched Schindler’s List recently and was once again shocked by the brutality. Spielberg and his film convey the heaviness that these places still carry decades later. Summary: Amy and her mother, Alexis, decide to make a trip to Scotland to their family estate on an island called Stormsay. When they arrive at the ancestral home and she finally meets her mother’s family she learns a secret that will take her love of reading to a whole new level. The two families that live on the island are able to jump into books and interact with the characters and story. Their mission in life is to protect the stories and keep them running smoothly. 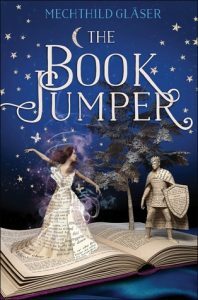 On her first day of lessons as a book jumper she enters the world of The Jungle Book but as the days pass things in the literary world start falling apart. It appears that someone is stealing ideas from stories! Highlights: Once again the cover caught my attention. But the idea that someone could jump into a story and live along with the characters is a dream come true. What story would I jump into? The possibilities are endless. The little twists were fun and kept you wondering. The other stories were chosen well with a variety of different themes. Lowlights: Spoilers. Several of the books that are mentioned I have not read but the plot gives away the endings to many of them. It made sense for the story and it isn’t a major problem but it was a little frustrating. FYI: This story was originally published in German.